Responsible car owners get their oil changed about twice a year. They get their tires rotated, as well. They might do this work themselves; more likely, they go to a service station like Meineke in Humble TX. 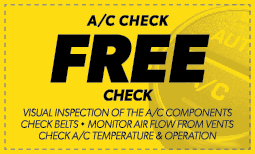 As you show diligence to these routine auto maintenance steps, don’t forget about your auto air conditioning. Your auto air conditioning works harder than you might think: It takes hot air and cools it, cleans out contaminants, and removes extra moisture. Through a multi-step process, it moves cool air from your refrigerant (Freon) to the vents, where you finally get to experience cool, refreshing air in your cabin. That’s a lot of hustle, so it’s no wonder your auto air conditioning needs some TLC from time to time.